This blogging thing is gettin’ kinda fun! Mom said to tell you all about the pretty fish tank at work. There’s a big glass box full of weird things called corals and lots of colorful fishes. 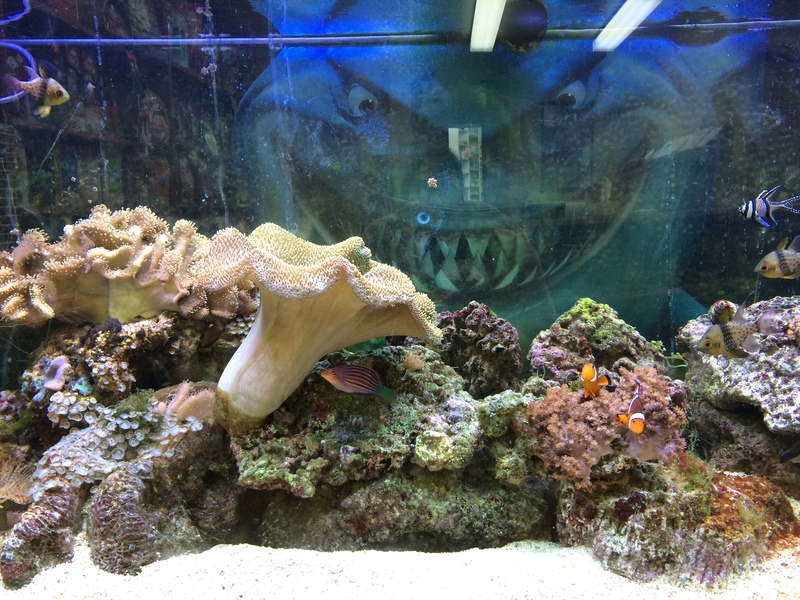 It’s called a ‘reef’ tank, whatever that is. The water is really salty (I tasted it once and it was icky). There’s a big eel in there. His name is John Snow because he’s a snowflake eel. He doesn’t look anything like a snowflake. He looks like a snake! Laura feeds him little fishes (They’re dead, don’t worry. Live ones would gross me out too.) every day and you can watch if you’re there when she does it. It’s kinda cool! Here’s a picture of what the tank looks like.